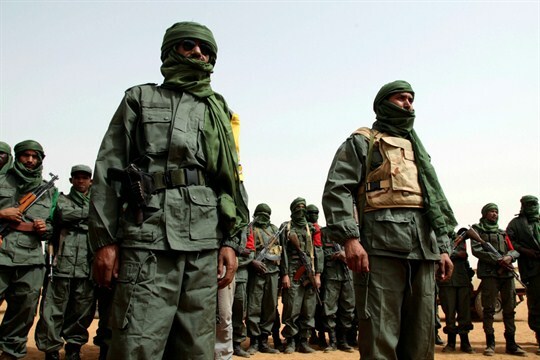 Malian troops stand with former rebels before a joint patrol in Gao, Mali, Feb. 23, 2017 (AP photo by Baba Ahmed). BAMAKO—On a Monday morning last June, toward the end of the fasting month of Ramadan, Amadou Barry, a 55-year-old cattle herder and member of the Fulani ethnic group, noticed smoke coming out of a nearby village. It wasn’t long before he registered the sound of gunshots—a telltale sign that a militia attack was underway. In a matter of hours, the village, Gueourou, had been turned to ashes, like so many others in the region of Mopti, in central Mali.